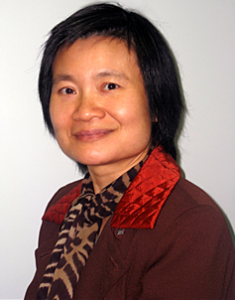 Cleveland Acupuncturist Amy-SuiQun Lui, L.Ac., Dipl.C.H. AMY-SUI QUN LUI, L.Ac., Dipl.C.H., graduated with Honors in 1992 as a Medical Doctor from Guangzhou Medical University in Guangzhou, China, where she gained experience in many areas of medicine through a number of internships. After graduation, Amy worked as a neurologist, practiced medicine and acupuncture at its affiliated hospital. She later came to the United States, where she spent another 4 years to earn her Master’s Degree in Acupuncture and Oriental Medicine. 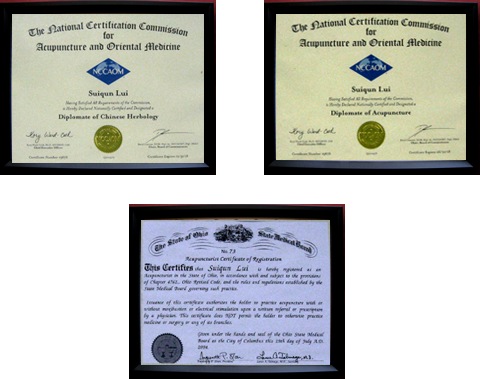 Amy is also the recipient of two coveted National Board Certifications through NCCAOM (National Certification Commission for Acupuncture and Oriental Medicine): one in Acupuncture and the other in Chinese Herbal Medicine. She is now practicing as a Licensed Acupuncturist in Cleveland, Ohio, where she works with many types of medical practitioners, including primary care physicians, chiropractors, licensed massage practitioners and physical therapists, to administer the most effective treatment to her patients. She chooses from a variety of therapies, such as acupuncture (including electro- and auricular acupuncture), acupressure, auricular therapy, reflexology (including ionic foot bath detoxification), and Chinese herbology and nutrition therapies, to provide her patients with the best possible health care. If you would like to know more about what the Asian Health Center can do for you, call (440) 833-0983 and set up a consultation appointment with Amy. Once she knows more about you and what you are looking for, she can give you more details about what your individualized treatments will involve. Insurance coverage accepted at the Asian Health Center includes: Worker’s Compensation, NGS Core Source, CAM PPO, United Health, etc.